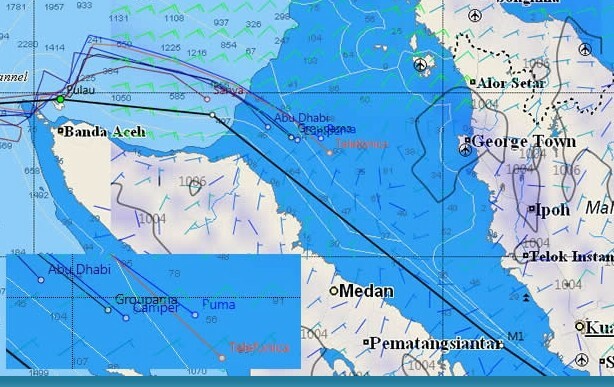 Tightly grouped yesterday lunchtime (UTC) as they passed the Pulau We island off the northern Sumatra, so over the course of the night (their morning), the fleet has expanded out again with Puma back into second place and with Sanya dropping further astern at the back of the fleet. It is not entirely clear looking at this by remote, even with high resolution GRIB,s why this is happening as it appears that the leaders should be sailing into less pressure, however at present Telefonica seems to be the fastest boat in the fleet, going some two knots quicker than Puma, and as a result has extended her lead to 12 miles. 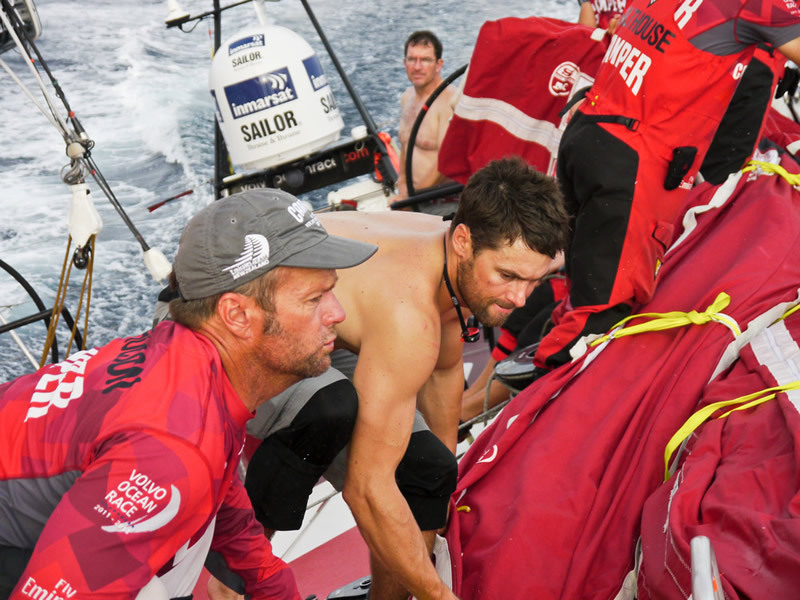 After a week at sea, the first sight of the lush Indonesian coastline rising above the sea with its ragged tropical vegetation was quite an unexpected experience for some of the crews yesterdat. 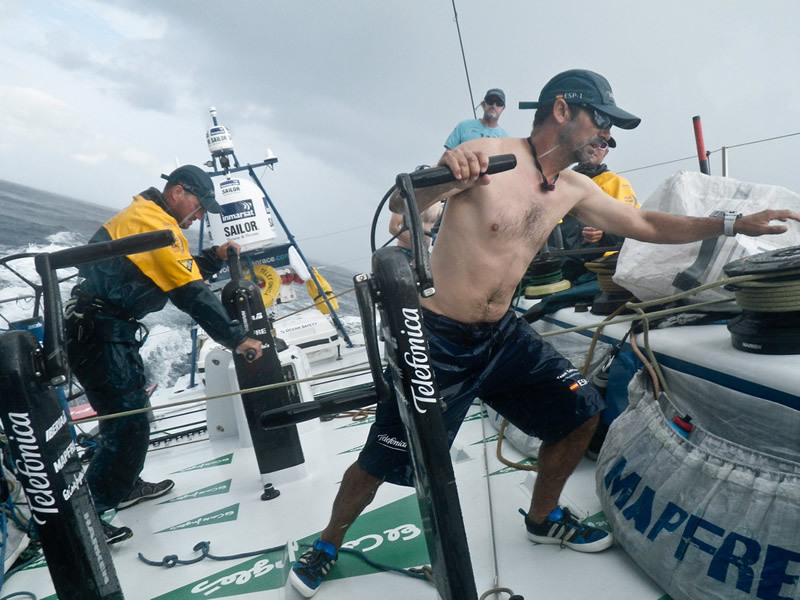 "We tacked a lot and it was just beautiful,” said Groupama 4’s Thomas Coville. “It was really exciting, really magical."